Indonesia’s President Mr. Jokowi, is known for his policy of management by walking around or ‘Blusukan’ in javanese words. Due to his active role in supervision, indonesia’s photoshopper communities nationwide draw various memes to tease him. 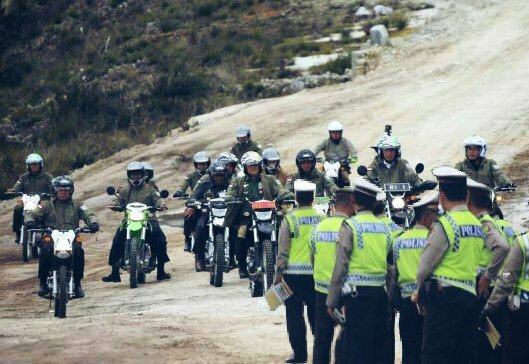 Group of Indonesian traffic policeman tries to stop Mr.President. 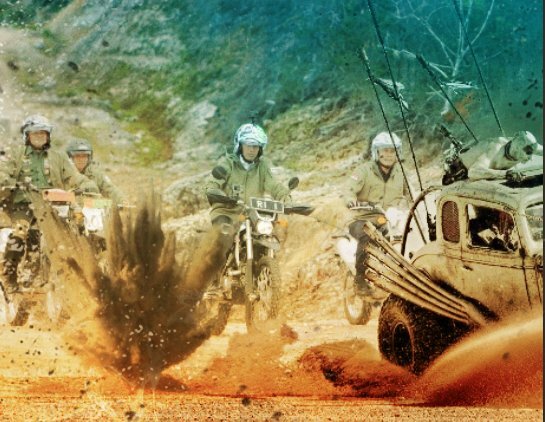 Jokowi’s trip to eastern province of Papua become one of the most popular news sensation, due to his ability to ride a dirt bike for 7 kilos, despite of his position as the first man on the republic. Camp Vietnam (Galang Island) what is that?